Take a seat, raise your feet and legs and recline back to get comfortable. 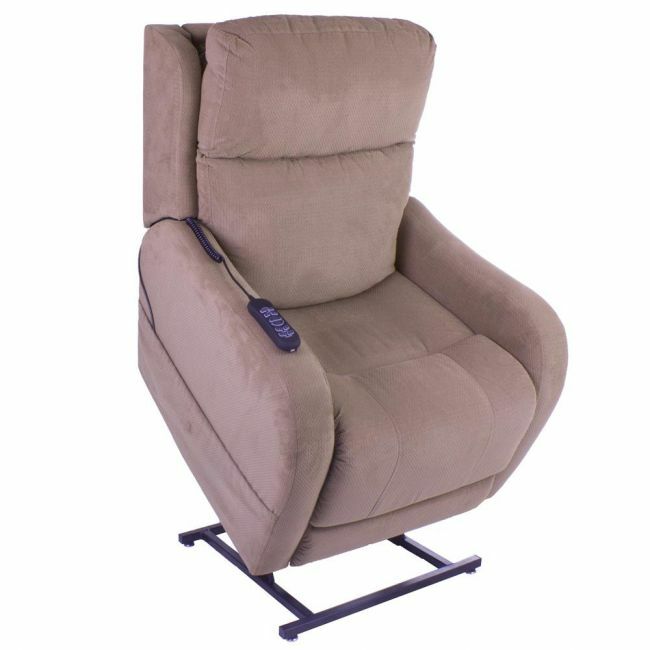 The Winchester dual motor riser recliner armchair with legrest extension from Pride Mobility's VivaLift! range has been uniquely designed to offer exceptional comfort and positioning. The Winchester features a heavy duty Wooden frame composed of engineered furniture grade laminate/hard wood for added strength and durability frame bespoke frame design, which can hold up to 25 stone.